The fight over ObamaCare has left the realm of fact versus fiction and entered into the world where reason is attempting to scale the walls of hyperbole. As one side points out almost all new jobs are part time the other rails about their opponents having bombs strapped chest. When the massive numbers of people being pushed off their health plans is mentioned the opposition yells terrorism. As some cry about skyrocketing healthcare premiums there are those saying to oppose ObamaCare is the equivalent of murder. Such is the state of modern American politics. Where insults pass for discourse and reason takes a backseat name calling. Rabid does not begin to describe the rhetoric of the modern left. The diatribes coming from the likes of Harry Reid and even the President long ago left the arena of civil discourse. When asked what he has to offer to help avoid a shutdown Obama declared he should not have to offer anything. Senate majority leader Harry Reid has refused to even appoint negotiators. While Republicans are not angels and given to problems of their own, they have not entered into childish over the top rants heard from the left. The fact is the Republicans are doing what opposition parties have often done, use budget time to leverage concessions from the majority. Not even the shutdown is unprecedented, sixteen times between 1976 and 1996 the government was shut down over legislative differences; mostly by Democrats. Only the last President Bush managed to avoid what was becoming almost standard practice. In this case the impasse is over ObamaCare with the goal being to stop it, delay it or at least neuter its most damaging effects. Some of the proposals being put forth are things many Democrats themselves have either put forward or supported themselves; ideas like delaying some of the mandates and removing the medical device tax. Unfortunately, instead of negotiating the Democrats have decided to call their opponents murderers, terrorist, anarchist, suicide bombers hostage takers and more. The American people voted in the divided congress and poll after poll says the people want the parties to work together. By saying they do not have to negotiate or even offer compromise, the Democrats are essentially raising a huge middle finger to the American people. Additionally, by ignoring the very real issues being brought up by the opposition they are showing indifference to the plight of everyday Americans. Americans who have seen major cutbacks in hours, lost jobs and even insurance. As of September 96% of all new jobs in 2013 are part time. Millions have been laid off due to ObamaCare and millions more were never hired because of the Affordable Care Act. Many patients who have had the same doctor for years now have to shop for a new one. Additionally, insurance companies are leaving the healthcare industry in droves as well. On Sean Hannity Senator Rand Paul described how where there once around 30 insurance companies to choose from in Kentucky; now under ObamaCare only two service the exchanges with just one offering out of state coverage. These are not superficial issues and to ask they be addressed is not terrorism. The Democrats, who tout themselves as the party of compassion, have been showing themselves to be anything but compassionate. Like the infamous statement “let them eat cake” the Democrats are acting like elitist who care little for anything but themselves. In hopes that Republicans will be blamed, they have forced the situation into an all or nothing game of chicken. The real victims of all this are the American people. Suffering under ObamaCare their pleas go unnoticed by a congress and president who have exempted themselves form their own monstrosity. With a few voluntary Republican exceptions, the congress lives in bubble where the rules of ObamaCare do not apply. Delays for big business have been handed out as well and even unions will likely be illegally exempted in time for the 2014 elections. It seems the Democrats, who long have accused the Republicans as being shills for big special interest, have been doing some shilling of their own. Such is situation that has led to the partial shutdown of the American government. Whose to blame is easy to decipher for those will to look beyond the heated rhetoric and the slanted media headlines. The question is, are enough people paying attention to make the situation change. Polls during the last election showed that overwhelmingly the people opposed the policies of President Obama and the Democrats, yet a majority of the same people approved of the President and his job performance. A disconnect that seems to have abated some, but not to the point they can be relied on to see through the haze of heated political rhetoric. Time will tell if the American people will see past the savage politics of a morally bankrupt party to the issues Democrats are trying so desperately to hide. 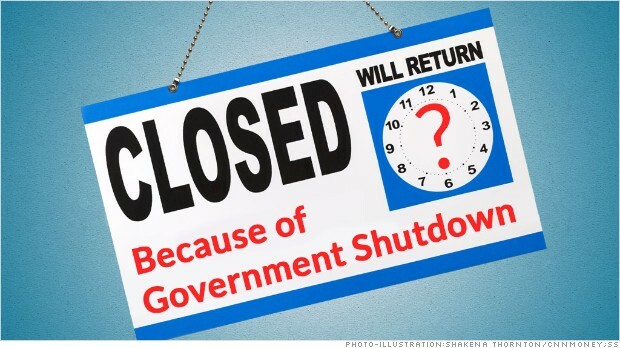 The longer the republicans keep the government “closed” the more the American people will realize government is not as vital as we are led to believe. Of course the President is trying to make this thing hurt as much as possible. He has shut down park spending more to close them than it takes to keep them open, shut down some parks that do not even receive federal funds and even laid off DOD workers that were paid for by special appropriation. Of course on the other hand the Democrats are playing a dumb game for a change. Reid even said today he would let children die rather than pass a piecemeal bill that funds the NIH. I think the pundits are going to be wrong on this one, time will tell but the longer this goes on I think the more petty the Democrats look.